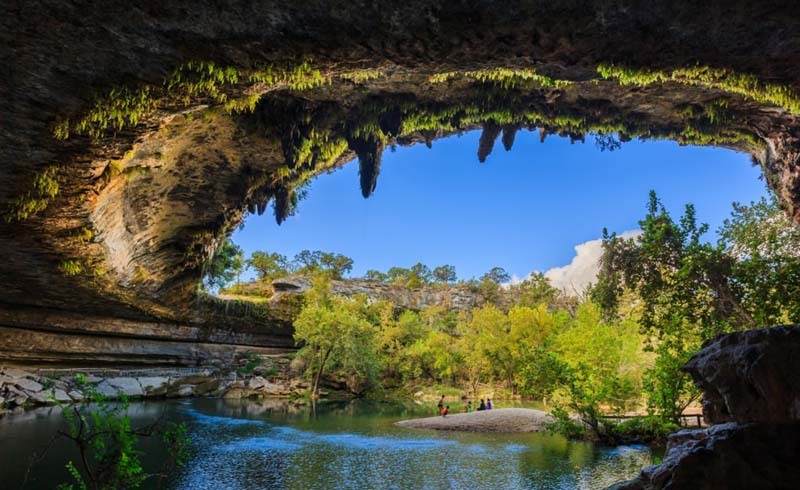 Though temperatures often reach 100 in July and August, Austin is blessed with several creeks and natural springs that bubble up out of the ground to form refreshingly cool swimming holes. The temperature in the 3-acre, spring-fed pool always hovers around 68 degrees. That feels downright frigid when the air temperature is in the 90s or hotter. It’s fun to watch newcomers jump in just to see their reactions. Formed out of a collapsed grotto, Hamilton Pool looks like it belongs in Hawaii. A small waterfall above the pool trickles through delicate maidenhair ferns. Visitors must hike about a quarter mile to get to the pool, but it’s well worth the effort. To protect the pool and the delicate ecosystem, the park sometimes closes after heavy rains. Always call ahead. 24300 Hamilton Pool Road, Dripping Springs; (512) 264-2740. To access this unofficial swimming spot, you’ll need to hike about a mile up Barton Creek from Barton Springs Pool. For a shorter hike, enter from Spyglass Drive. Since there are no lifeguards, the crowd can get a little unruly at times. After a heavy rain, mini-rapids form over an uneven limestone bottom. 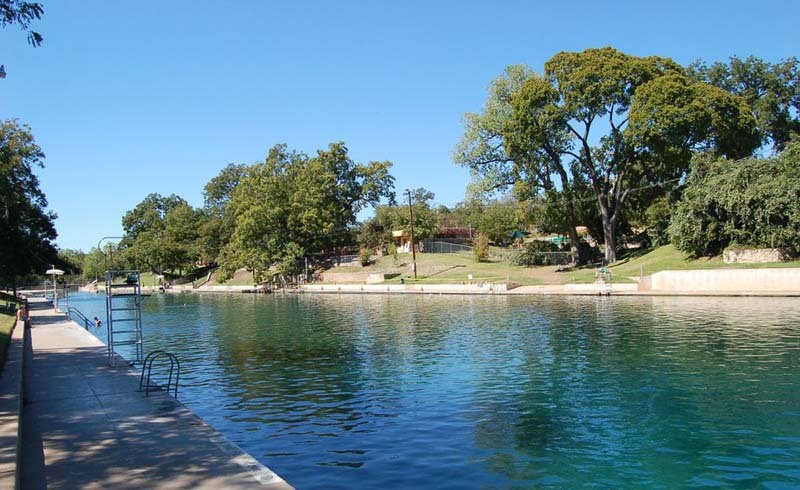 Another spot along Barton Creek, the Gus Fruh swimming hole is a neighborhood treasure for Barton Hills residents. The peaceful pool is surrounded by big boulders and limestone cliffs.